Bad behavior during a marriage does not waive a party’s property division rights. The bad behavior of one spouse may be the reason for a divorce, and the spouse seeking divorce may think the badly behaving spouse deserves absolutely nothing from the couple’s property division. However, property division laws generally do not punish a spouse for bad behavior. He or she is legally entitled to a portion of the marital property by virtue of the parties having been married. Adultery and other types of marital misconduct generally come into play in alimony considerations but may have little impact on property division. If a party is completely unwilling to cooperate and compromise due to bitterness towards an ex-spouse, the parties will likely end up in a never-ending battle. This will be both emotionally and financially exhausting. Parties that treat the divorce mediation process like a business transaction, (with the exception of issues involving child custody), often benefit. Mediation is an opportunity for parties to have some control over the outcome of their divorce, and this opportunity may be wasted if one allows emotions to cloud their judgment. Decide what’s really important to you and discuss it with your attorney. Mediation is not about winning and losing. If a party goes into mediation with the goal of “sticking it to” the other spouse and getting everything possible, the likelihood of the two parties reaching an agreement is slim to none and the couple’s future is left in the unpredictable hands of the court. In order to come to an agreement, an individual should think hard about what is important. Is it the marital home? Or is keeping an interest in a family business more important? Having a clear idea of the most important goals in a mediation can allow an individual to work with his or her attorney to create an effective plan for successful divorce mediation. Mediation is a great way to exercise control over the distribution of property following divorce while avoiding expensive litigation fees. 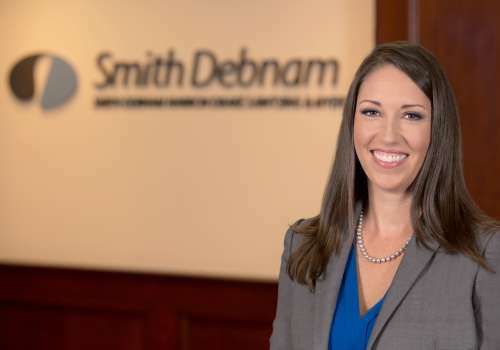 If you would like more information on this topic, please contact attorney Lynn McNally at 919.250.2176 or by email at lmcnally@smithdebnamlaw.com.